Goooooood happy peachy Friday morning friends! I am sooooooo very excited to share with you all my projects I created with the Peachy Keen Stamps Happy-Go-Lucky Dog sets. These are just too precious for words, I can’t even begin to tell you how excited I was to see doggies Peachy Keen style! I love them. Here are my two cards I made with the new Happy-Go-Lucky Dog sets. Isn’t her face just too sweet? I love how cute she looks with her eyes closed. 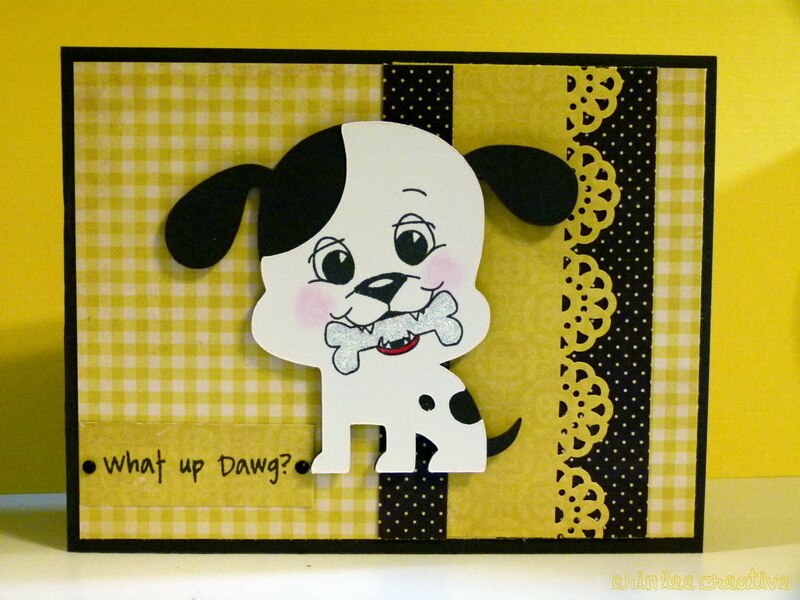 This cute pup is from Create a Critter Cricut cartridge. This face stamp with the dog bone just cracks me up. I slanted his head because that’s what my doggy does a lot of the times when I ask her a question. 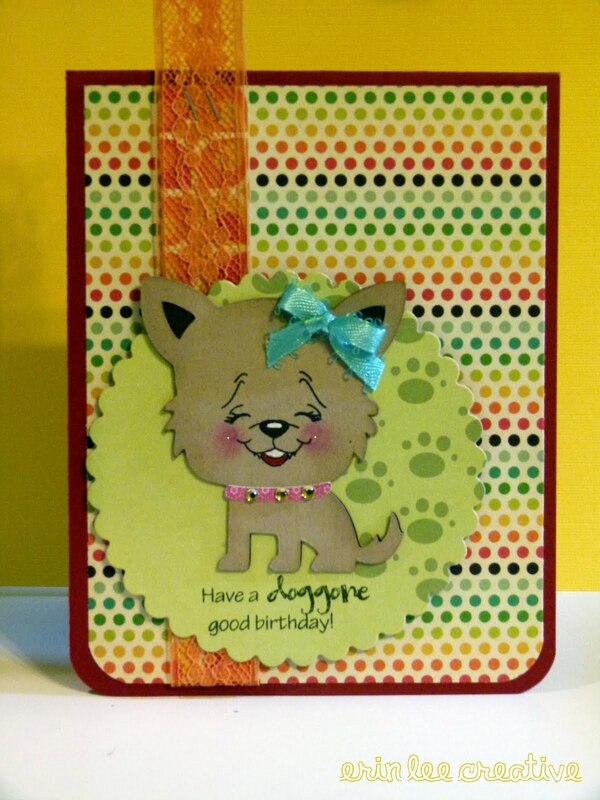 This doggy is also from Create a Critter. As if you needed another excuse to purchase these beauties, PKS is having an Anniversary Sale! How sweet is that? If you spend $25 – $39.99, you get 15% off, spend $40 – $74.99, you get 20% off and if you spend $75 + you get 25% off! SCORE. OH and don’t forget to leave a comment here for your chance to win the new releases. The comments will be drawn from all the designers’ blogs. I could go on and on about how adorable these stamps are, but I think you all know just how cute they are, so onto the next hop – which is the fabulous Samantha! Her work always just amazes me. Have fun hopping!